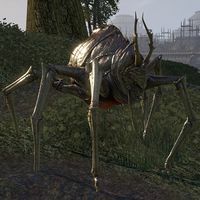 Nix-Oxen are insectile creatures found on the island of Vvardenfell. The non-aggressive Nix-Oxen in Vos have a health of 1. This page was last modified on 12 September 2018, at 05:15.